Once hugely popular, an approach to language instruction that made use of a technique called interlineal translation is now dead. The method, championed by a crusading English businessman named James Hamilton in the early 19th century -- and exported to America, where it remained popular into the 20th century -- was supposed to open the gates of a classical education to the masses. Hamilton's innovation was to introduce students immediately to English translations of Greek or Latin works, rather than forcing them to stumble through dictionaries. In his instructional books, lines of English alternated with the classical languages. (Later, as the system took off, he branched into French, Italian, and German: John Stuart Mill learned German this way). In the Hamiltonian System, translations were jerry-rigged so that the English synonym typically stood directly its foreign analogue, for easy comparison. Hamilton's ardent view was that the the traditional method of instruction, heavy on vocab drills and syntax memorization, was tiresome, inefficient, and elitist (because it demanded years of schooling, usually private schooling). But in the current American Scholar [article not online], the writer Ernest Blum says Hamilton got both the diagnosis and the solution right, and that the Hamiltonian System should be revived. Blum cites the dismal performance of students in the United States and elsewhere on foreign-language tests, and pins the blame on reigning pedagogical theories. These hold that students must immerse themselves fully in foreign texts, translating painstakingly on their own, so that they get a straight dose of the new language. But Blum argues that scholarship in linguistics over the past few decades demonstrates that students who follow that course will likely never learn enough words to achieve mastery. The problem stems from Zipf's Law, after a Harvard linguist, George Kingsley Zipf, who died in 1950. This law holds, as one summary puts it, that "almost all words are rare." In the Greek New Testament, for example, a mere 320 words account for about 80 percent of the text. But the remaining 20 percent is made up of a fearsome 5,120 words, many of which appear only once. And that's only one Greek book. That pattern holds in most languages. Basically, such studies of vocabulary suggest that students need to know many, many more words than they presently do -- and more rare words -- in order to get through books. They need a massive dose of help on the vocab front. (One scholarly estimate is that a reader must know 95 percent of the words in a book in order to guess the rest by context; few students today come close to that.) Blum says reviving the Hamiltonian system is the answer. "In no other classrooms on campus is basic information systematically withheld as a matter of policy and principle," he writes. "What is withheld is the information on the meaning of words." 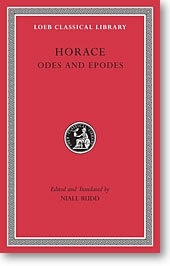 As it happens, the Loeb Classical Library, those famous red and green books published by Harvard University Press, have the translations on the facing page of the text. For that reason they are usually banned from beginning and intermediate language classes, branded as unhelpful crutches. Blum, to be clear, says the Loebs aren't the same as Hamiltonian texts -- but it would appear that they're the next best thing, at least for advanced beginners. Might the American Scholar article offer a hook that could get the Loebs into language classes -- and, not incidentally, boost sales? At least one noted writer and critic dissents from the idea that beginners should steer clear of the Loebs. Clive James, in "Cultural Amnesia" (2007), says adults trying to learn Latin should reject the arguments of "purists": "[W]hen they warn you off the Loeb Library," he says, "they are giving you the exact reason you should hold it dear -- it's a painless dictionary." Hamilton's books are readily accessible today via Google books., simply search for 'hamiltonian method'. Another non-standard methodology for learning Latin, is the old but new method of immersion. This is how Latin was learned in the 1600's and earlier. Latinum, a free immersion course, promotes this method of accessing he language. This method also uses English-Latin, but in audio. Once the vocabulary is mastered, the student is weaned off the English. The method is effective, and it is fast. Around 3 000 students are currently using this course, which will give them a handle on spoken and written Latin. Classical authors, such as those in the Loeb Library, are generally the WRONG choice for language students. They are artful, elaborate, difficult texts. Students need texts slightly below their current reading ability (to gain confidence), plus texts appropriate to their current reading ability (a good, do-able challenge), plus texts that are slightly (SLIGHTLY) above their current reading ability. Unfortunately, the obsession with classical authors does beginning language students little good. It's a relatively modern mistake - from the 16th to the 19th century, textbooks regularly featured easy-to-read ADAPTED texts. That is the kind of reading Latin and Greek students need more of - not overly difficult texts accompanied by English translation. Laura, this is very true, and you summarise in one short paragraph the disease that much (but not all) modern Latin education is afflicted with. Looking at Comenius' 17th Century prescription for an education in Latin, he thought that only after four years of full-time immersion in the language, would a student be ready to pick up a Classical text. Before that, they would read texts that modern Latinists disparage as "inauthentic Latin". The problem is, after the 1900's, Latin had lost all its other uses as a language, the only remaining use being that it gave access to the Classical Literature.......and so, teachers began to focus on these very advanced literary texts from a very early stage of Latin language education. Latin stopped being about the language, instead, it was now all about the literature. A few brave teachers are now trying breaking the mould, to get back to what is in my mind a more sensible way of approaching the language. What is needed is a split in Latin language teaching, between 'language' and 'literature', as exists in the teaching and examination of other languages. Even English is taught with separate examinations for language and literature at the secondary level, as is French, German, etc. 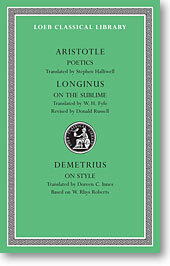 In fact, I encourage my students, at all levels, to look at published translations of literary texts (which, in WHEELOCK'S LATIN, for example, are introduced, unadapted, as early as Chapter 5); in advanced classes I typically REQUIRE them to purchase a translation. A wonderfully useful exercise is to collect half a dozen different translations of a passage the students have read and reasonably well understand, and then have them identify aspects of each published translation that they consider especially worthy and others they consider in some way wrong: in the process they sharpen their own skills as readers, interpreters, translators, and critics. If you're looking for something revolutionary and mind-boggling, look nor further than Hans Orberg's Lingua Latina. He calls it the ''Natural Method'' and, by God, it does wonders I didn't think possible..
Mr Blum has got it right: it is via the Hamiltonian System that the general reader is able to access Latin or Greek texts. Forget Loebs. His proposal is very important. It would enable non-classicists to read the great texts of Greek and Latin literature in the original. I can't resist commenting on my alleged failure to "seize the opportunity" through endorsement of "current language pedagogy" -- those "reigning pedagogical theories" that cause Loebs to be "banned from beginning and intermediate language classes." In reality, the teaching of classical languages is driven not by any theory but by finding what works for most students: most of us have tried, and continue to try, a great variety of approaches. Nor is there any commissariat that decides what approach or textbooks may or may not be used. Loebs are typically not used at this level not because they are "banned" (lest the acquisition of Latin or Greek be too easy?) but because translations have proven to be no substitute for learning the language. If only this were a mere matter of learning (or simply matching) vocabulary words! But in fact Latin and Greek, highly inflected languages, are so very different from English or any other modern language that there is no shortcut to learning their forms, syntax, and grammar before one can actually read classical texts. And so, while the Loeb Library could try to market its volumes for elementary and intermediate use, I'm sure the result would be a no-thanks from most classicists -- again, not because they are in thrall to a misguided theory but because they know this doesn't work.